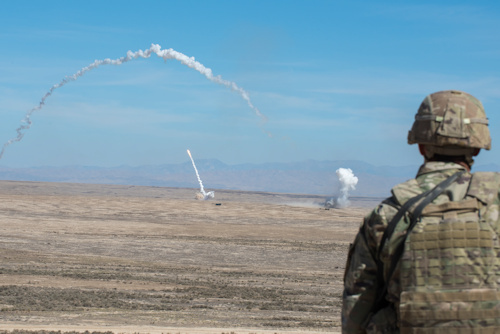 The current operating theaters, with the different threats that characterize them, have led to the evolution of the use of Pluriarma departments (Combined Arms). In particular, through the experiences learned in the field, the increasing need to prepare the units to integrate different structures and act autonomously, even at lower levels, has been highlighted. The current operational scenarios, characterized by particular complexities and constantly evolving, in which the enemy tends to spread their forces and use asymmetrical techniques, do not allow solutions single Arm to the tactical challenges that the Commanders of minor units will face. The NATO Doctrine defines the concept of Combined Arms such as simultaneous and synchronized use of different assets and capacities, integrated into units structured according to the assigned mission and optimized for the tasks they must perform. 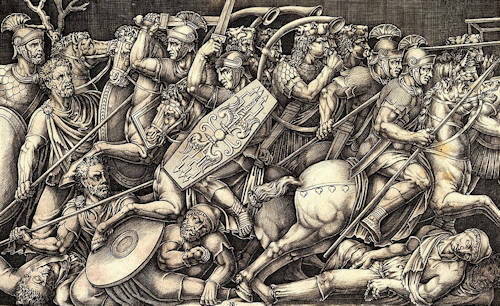 This concept has ancient roots, as already the Macedonian army of Alexander conquered the Persian Empire thanks to the synergistic combination of heavy cavalry, light cavalry, heavy infantry (deployed in compact phalanxes, armed with a long spear called sarissa), light infantry, archers and siege engines (similar to today's artillery). Likewise, the Roman Legions (veritable pluriarma units before its time) were practically invincible for about five hundred years because they used combat techniques based on the combination of different weapons. In the contemporary age, the First World War represented the first laboratory of the concept Combined Arms where, at the price of huge losses, the importance of integrating the effects of the different weapon systems was understood and the experimentation of a different tactical use of the artillery began, the objective of which became the annihilation of the combat capabilities of the enemy and the support of the offensive actions of the infantry, accompanied by elements of the Genius. The importance of using Combined Arms Team able to operate independently has been emphasized by the experience gained in the most recent missions, in which the thinning of the maneuver, due to the need to maintain control of large areas of responsibility, has imposed the decentralization of specialized skills up to the order levels more downs. The main success factor of the maneuver Combined Arms it resides in the fact that multiple and simultaneous forms of contact, coming from unexpected directions, generate one operating pressure such as to force the enemy to a reaction, making it reveal its nature, its intentions and its vulnerabilities and thus depriving it of tactical initiative. The aforesaid maneuver is based on principles of agility, flexibility and adaptability, and involves the decentralization of resources and the initiative by the Commanders at all levels, so as to ensure the conduct of autonomous tactical activities, but always coordinated. Currently, the approach Combined Arms, at a tactical level is constituted by the Pluriarma Brigade, structured to express in full autonomy a wide range of abilities: from the conduct of combat actions to the management of intercultural relations. During the Yom Kippur war, the IDF had based their tactics essentially on armored units. This doctrine was based on the concept that terrestrial combat was mainly devolved to the armored component maneuver, deriving from the fact that the Shirion (the Israeli Armed Corps) had achieved a striking success in the 1967 war. Armored and mechanized departments, mainly equipped with BRDM of Soviet origin. Light infantry units equipped with AT-3 Sagger counter-truck systems, RPG-7 rocket launchers, 82 mm recoil guns. Artillery departments with howitzers / cannons from 122 and 130 mm. 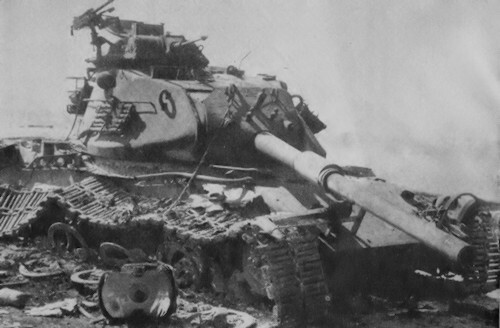 The numerous losses that the Israeli armored units suffered, independently employed and without any coordination with the light, mechanized and artillery infantry, forced the leaders of the IDF to elaborate a radical change of tactics that allowed to overturn the situation on the field. This change was essentially based on the reorganization of the Divisions and on the greater support of the infantry to the armored units. 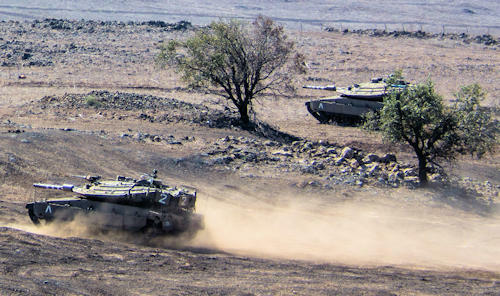 In the 2006, with the Operation Rain of Summer, against the Hezbollah militants in Lebanon, there was a further change of course in the use of armored units that, despite being equipped with highly technological means (MBT MERKAVA Mk III Baz and Mk IV), suffered many losses when they were used in built-up areas, mainly due to poor coordination with mechanized infantry units. It is also true that, in the previous decade, the Israelis had fought against small teams of militiamen with little tactical training, generating among the insiders the false belief that the cart was no longer useful in low-intensity conflicts. Consequently there was a progressive decline in the training level of the Armored Corps and a notable lowering of the integration of these with the other Armed Forces. 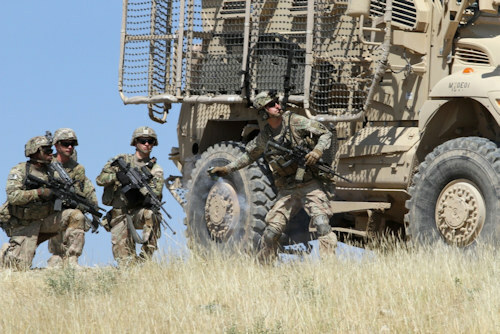 With the continuation of operations in Afghanistan there has been a profound change in the concept of maneuver by the countries participating in the anti-terrorist alliance. In fact, the commanders, even minor units, have become responsible for large areas and, consequently, it has become necessary to decentralize the operational structures available as well as to encourage the initiative at all levels, so as to guarantee the conduct of activities coordinates but however autonomous. Implement the pluriarma employment procedures. During the Venier 2018 exercise, at the Cellina Meduna polygon, it was possible to see the implementation of the concept of Combined Arms. 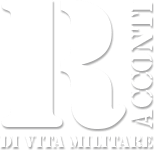 The exercise has seen employees of the Pozzuolo del Friuli Brigade, with a smaller complex of the 1 ° rgt lagunari Serene, supplemented by a platoon of heavy Centaurus of the 4 ° rgt Genoa Cavalleria, from units of the 3 ° rgt genius spoilers and from the mounted artillery regiment, engaged in an intense multi-pitch fire activity. The training activity saw the use of the blinds, artillery fire observation cores and engineering teams that, working in prolonged dynamic actions, have shown a remarkable capacity for cooperation, also thanks to the common training developed in the National Projection Screening Capacity. Bearing witness to the fact that the ability to interoperate, integrate different capacitive structures and to conceive and conduct independent and complex actions must be built and maintained through training, training and standardization of procedures and equipment.